Entrepreneurs Universe supporter Tim Bleakley, CEO of Ocean Outdoor, and serial entrepreneur Philip de Lisle were ‘In Conversation’ at the International Festival for Business 2014. 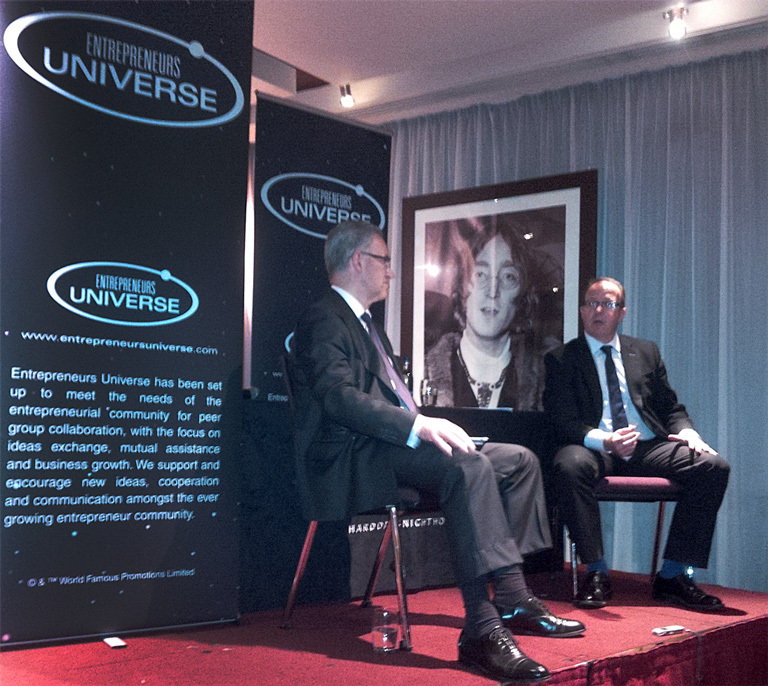 The Entrepreneurs Universe event, sponsored by Liverpool Vision, was hosted by Entrepreneurs Universe Chairman Alon Shulman and provided exceptional networking opportunities for the attendees with many organising pre-arranged introductions through our network. Ocean Outdoor specialise in iconic digital banner advertising with sites such as Westfield and the Imax. In Liverpool they have the screen at the Cavern Quarter and the Media Wall at Lime Street Station which is the largest digital advertising screen in Europe. Tim and Philip explored the journey that Ocean and Tim have undergone, the good relationships with VC’s and private equity (Smedvig invested £5.5M and excited at £35M) and looked into what makes Liverpool work for Ocean, brands and entrepreneurs.